Every day, doctors in children’s hospitals meet with parents to talk about life and death medical decisions. It may be whether to surgically create a hole in a child’s windpipe to place a breathing tube, whether to remove a life-sustaining ventilator, or whether to proceed with a high-risk medical procedures, such as a third bone marrow transplant. Studies show that when families feel their emotions are heard and understood by doctors, they’re more likely to share information that’s critical to the best care. But what features of a conversation effectively transmit a message of empathy? A fascinating study in JAMA Network Open looked at the transcripts of 68 recorded care conferences about high-stakes medical decisions at Children’s National hospital in Washington, D.C. Researchers wanted to evaluate how doctors communicated that they had heard and understood parents', or other family members', emotions. “The biggest surprise was the 18-fold increase in moving the conversation along and getting more information on a family’s fears, hopes and values just by using ‘the pause’ after expressing empathy,” says lead investigator Dr. Tessie October, who is a pediatric intensive-care doctor at Children’s National. While doctors in the study recognized and responded to emotion in families 74 per cent of the time, in almost 40 per cent of cases they didn’t then pause—giving families a chance to respond. Instead, they reverted to medical jargon. To categorize empathetic words in the transcripts, researchers used the NURSE pneumonic on how to communicate with seriously ill patients and their families: naming the emotion, showing understanding, being respectful, giving support and exploring feelings. Most often doctors did respond to emotional cues from families, but too often they immediately plunged back into clinical talk, followed their kind words with ‘but,’ or were interrupted by another doctor who provided more medical data. BLOOM interviewed Dr. October about the study. Tessie October: I do both palliative- and critical-care medicine and I find that by straddling both, I have a unique understanding of the parent and family and their role in the care of their child. In the ICU, we don’t always respond to family’s emotions in the way families need to be supported. We know the families need medical information to make informed decisions, but we also know these are heavy, emotionally-laden decisions. I find, anecdotally and in the literature, that we lean more heavily toward the medical information without the emotional support, and we need a better balance. In children’s hospitals, we do have other support folks like social workers or our palliative-care team or our chaplain, and physicians rely on them to provide the emotional support. But that’s not what our families want. Families want emotional support from their doctors. BLOOM: How did you define empathy? Tessie October: We defined it, looking at the Webster's dictionary, as being aware of the feelings and emotions of the families, and responding to that emotion with care and love and compassion. Tessie October: The most important finding was that silence matters. Physicians in general are trying to be empathetic—they’re responding to the emotional cues of families—but they don’t realize that they’re sometimes burying that response in medical information, and when they bury an empathetic statement, families don’t hear it. So giving an empathetic statement and pausing is what allows the family to hear. But more than that, after a pause, the family was more likely to talk about their worries, hopes and values, and these are the things we need to make some of these decisions. It wasn’t just that doctors responded and families felt better. It was that the pause moved the conversation along. BLOOM: Your study notes that doctors sometimes linked a kind statement with ‘but,’ and this wasn’t helpful. Can you explain? This happens pretty frequently. As much as doctors are trying to be compassionate, we have a purpose and an agenda in the meeting, and we want to get to it. BLOOM: I assume that time pressures are a factor? Tessie October: We’re trying to change the way we think about the family meeting. 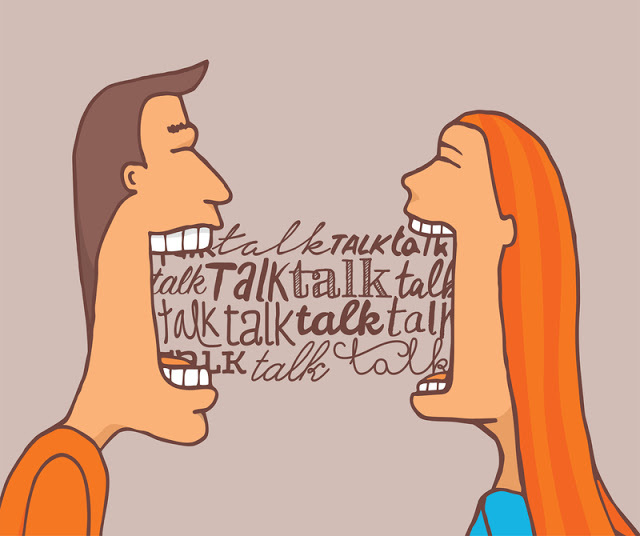 In my research on communication techniques and training, we find that when you slow down and do less of the talking, you get more information, and the meeting is shorter. You spend less time, you get less conflict, and you respond to the family’s emotions. As a result, they’re able to collect themselves and are ready to hear more information. Think about when you’re in an emotionally distraught state. Until you come down on the emotion, you can’t take in any information. Until you respond to family emotions, they can’t hear medical information properly. BLOOM: Why do doctors often bury compassionate statements in medical talk? Tessie October: It’s what’s most comfortable. It’s how we talk with each other, and how you’re evaluated in medicine. It’s the language that physicians know. It’s much harder to be in an emotional space and sit with a family in silence, or make statements that you know will hurt. It’s harder to sit with a family that’s crying than to revert back to the stuff we’re comfortable with—talking about the kidney or lungs or other medical parts. It’s an avoidance behaviour that happens when you’re uncomfortable. We need to learn the skills that are necessary to respond to emotions, without feeling guilty. Having those tools in our tool box can be helpful. BLOOM: How do we prepare doctors to do this emotional work? You note in the study that when a parent is distressed, it’s often difficult for doctors to pause after conveying empathy. Don’t they need coaching on how to do this? Tessie October: This is the hard work we’re trying to do. We don’t get this anywhere in our critical-care training. In palliative-care training, we do spend a lot of time talking about emotions and how to connect with families. Our procedures in palliative care include responding to family’s emotions and navigating care conversations and meeting as a team. But for a lot of ICU doctors—and other doctors beyond that—this is not part of their training. We don’t think of how we talk with families as being a procedure, in the same way we think of putting in a central line or a breathing tube. I’m trying to change the framework of how we think about these conversations. If you think about how we even evaluate people who are appropriate for medical school, it’s not about how they communicate with people. We’ve decided that technical skills and the science background is enough to be a good doctor. What we’re finding is that doctors who have better relationships with families are doctors who are less likely to be sued, who find more meaning in their work, and who are less likely to burn out. BLOOM: Don’t doctors also need to regularly express their own emotions to the work they do? We did a narrative group with our inpatient nurses here, and one of the findings was that prior to the group, nurses felt they were alone in experiencing work emotions like grief, regret and guilt. During the intervention they would say things like “I thought I was the only one.” We found they benefited from hearing other nurses tell similar stories to their own, which normalized their feelings. Tessie October: We need to do more work that allows people to have a space to unpack these emotions that you describe in your narrative work. When we don’t do this emotional work with staff, we end up with burnout. There are some things hospitals are doing, like Schwartz Rounds. We also have debrief sessions with our chaplain after an emotionally challenging death of a child. Part of it, truthfully, is that there’s a protective mechanism we invoke to be able to do the work we do. We try to stay a little bit distant. When a child dies, if you’re the ICU attending, you still have 40 other children who are expecting you to be on your game. We need to normalize the fact that we have these emotions. Medical staff experience repeated work traumas. We need to make a safe environment for people to be able to emote, and talk about these things. It’s not institutionalized until every staff member has their own process that they can use to do this work. This is an area we need to address as a field. BLOOM: What do you hope other intensive care units take from the study? Tessie October: That conversation matters. And that sometimes just slowing down and pausing can make a real difference in the family’s ability to hear and understand the information you’re giving. The motivation may be to rush through certain things, and we have to remind ourselves that these are emotional, life-changing decisions. Responding to emotions is equal in importance to providing technical, medical information. BLOOM: To some degree, isn’t empathy subjective? Isn’t it possible that one parent would find a statement helpful, and another parent might find it hollow? Was there thought given to studying which words and phrases parents find most compassionate? Tessie October: That would be a very interesting study to do. We didn’t study that in particular. I think you’re right—some families respond to different words. Our goal is to increase the options that are in the doctors’ tool box, so if they try something and it doesn’t work, they can try something else. What I do in my meetings is I let the family talk. I let them start the meeting and get off their chest what they’re really worried about and, and based on the language they use, they give me a lot of clues. It’s being present, and being aware, and listening to those clues. One thing we want to do is help doctors recognize statements as emotional. For example, if a family says “There’s got to be something more you can do,” I’m trying to help staff hear that as an emotional statement, instead of as a cognitive statement. 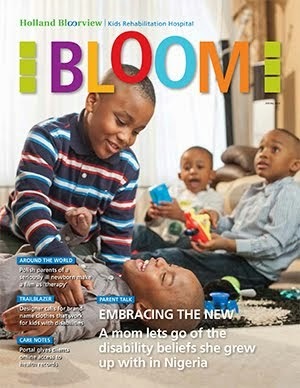 BLOOM: Yes, it sounds like the parent is feeling powerless to protect their child. Was any thought given to connecting parents who are going through similar situations? In one of the statements listed in your study, a doctor says ‘I completely understand.’ But how is that possible, unless they’ve had a child in the same situation? I’m wondering if other parents—or a parent in a staff role—could provide additional support? Tessie October: I don’t know that that’s been tested. I know some hospitals are testing parent navigators, where a parent is on staff to provide continuity for families. Part of the problem is that parents often participate in meetings with different providers who give them different messages. A lot of times these meetings happen impromptu. We do offer to have families speak to other families going through similar things, especially around heavy decisions such as tracheotomy placement. We’ve also created resources in terms of videos that are parents talking to parents.